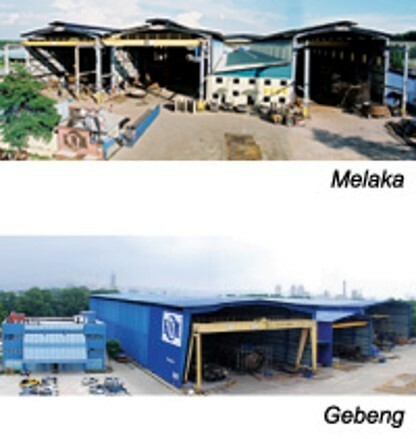 KNM Process Systems Sdn Bhd, a wholly owned subsidiary of KNM Group Berhad, is the Malaysian flagship of the KNM Group. Incorporated in 1990, the company today is a world renowned provider with businesses ranging from process plants, modules & equipment manufacturing to turnkey systems provider and plant operation & maintenance services. Its two decades of reliable deliveries combined with the strength of its various subsidiaries made them leaders in its field, building solid reputation amongst its customers. With an experienced workforce and facilities with easy accessibility to port facilities, it has the capability to manufacture vessels or modules in excess of 15m x 100m and weighing up to 3,000 tonnes. KNM is committed to providing world class products and services; its state-of-the-art equipment and global facilities are backed by experienced professionals and highly skilled workforce both locally and abroad with strict adherence to quality and safety requirements.